1 // Why is diversity and representation so important in literature? How does including diverse books change and nurture the publishing industry? Honestly, this is like asking why books are important – or why stories are. It is fundamental to human existence to tell tales, and pass on our knowledge, empathy, and creativity through storytelling. So the notion that only one type of story (or storyteller) gets told is frightening and limiting. We are led to believe that the “default” or “everyman” story is about and by the Caucasian, cisgendered, heteronormative, able-bodied (just think of the set-texts you read in school, for instance) but that’s not the world, and those are certainly not the only stories in it. As for how diversity and inclusivity nurtures the publishing industry? That’s almost as hard to answer. But the way to avoid the trap of thinking that there is any “default” story or storyteller, is to make sure as many people and experiences are represented and have a seat at the decision-making table when it comes time to decide what books are “worthy” and will be seen on shelves. 2 // Do you feel that Australians, and Australia as a whole, are represented enough, with so much of our media being American based? I am always going to wish for more Australian content – because I think a healthy society is one that tells its own stories, and interrogates itself through their art. And right now I do not think Australian culture is truly represented in our books, film, TV, or journalism, etc. I think we are very much still grappling with that idea of an everyday-Australian “default”, which is why if you ever see diversity on our TV screens in particular, it’s usually on reality television. There are some shining examples of truth breaking through, however – like the adaptation of Benjamin Law’s The Family Law on SBS, forthcoming children’s television drama based on Sue McPherson’s YA book Grace Beside Me (premiering on Friday, 16 February at 7.30pm on NITV), or last year’s hit movie Ali’s Wedding (based on Osamah Sami’s book Good Muslim Boy). To name a few. But for the most, primetime part … no. I don’t think we see modern Australia reflected in our everyday and public pop-culture. So, not only do I think that Australian publishing needs to get more diverse and inclusive – but pretty much all sections of our society. And it needs to start from the “top” down, just look at the serious lack of diversity amongst our politicians and lawmakers, for instance. It’s a disgrace. Would I prefer that Australian media (and – y’know – ALL sections of Australian society) work on better representation amongst ourselves before buying international imports? Sure. But until we do, I don’t necessarily think it’s a bad thing AT ALL, that Australian’s turn to overseas content to meet their needs and see their lives reflected. 3 // What advice can you give for readers seeking more diversity in literature? How can they be better heard by the ‘head honchos’? A few different ways. But probably the easiest and most direct is – buy the books. Support the authors. Spread the word. When there is a good book (or film, or TV show, etc.!) that comes out, created by an ‘Own Voices’ artist especially (someone who shares the same minority background as their character) support it. Money talks, and publishing is an industry like any other where success is very much measured on a commercial scale. So if you’re not buying the books that are diverse and inclusive, that’s going to send a message to those head honchos that we don’t value or want those books. So buy them. Or borrow them from the library! (Heck – make sure your library stocks those books, and if they don’t – send in a purchase request!) Support the author by writing reviews and posting them to Goodreads, Amazon, everywhere! And spread the word – attend author events like bookstore Q&A’s, Writer’s Festival panels, anything! And do the same for any book and author who writes good, diverse representation. Buy the books. Support the authors. Spread the word. And – please – if you can, try to buy all your books from local bookstores, not cheaper overseas retailers, so that the money stays in Australia, and benefits our industry and local businesses. 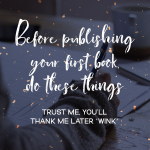 I am not overstating things when I say that buying from a local independent retailer – and you can find them all here, http://www.indies.com.au/ – means that money made from the selling of those books goes back directly to our publishers and creators, so they can keep publishing and creating. On a much bigger scale – get mad, and get involved. Especially when it comes to how your tax dollars are spent. Pay attention when you hear that the Federal Government has slashed arts funding (especially in a year that they’ve amped up defense spending) – because that has repercussions down the line on organizations like Australia Council, which in turn will have a ripple effect on diverse stories not getting told. Privileged, middle-class creators who don’t need to rely on an Australia Council arts grant to keep creating will be fine. It’s the artists who have to make a choice between keeping creating or eating, or sending their kids to school with all the books they need, who will be hurt and silenced. So – write to your local MP. Let them know that arts funding is a priority for you. Let them know that if their party is one to hurt the Arts, you will not be voting for them or supporting them. Write to them, so they respond to you. Write to them so they make a note of your statement, and listen to you. 4 // Do you think it’s possible for the US publishing industry and book community to work together with publishing industries/book communities in other countries, and if so, how? Yes, because I see this happening online, especially amongst fandom communities like the one that has built around Young Adult books. I certainly think that #LoveOzYA – the hashtag that was created to talk about Australia’s love for its national youth literature, and which now has an official website and committee! – definitely entered into the international-YA consciousness, as has “#UKYA” talking about YA books of the United Kingdom. Much in the way that #WeNeedDiverseBooks became the hashtag-home to talk about representation in youth literature. I think the key is just keeping talking to one another. Keep recommending books and authors, keep supporting local bloggers and vloggers and #Bookstagram creators – and especially those who make a point of supporting their local books and authors. It’s that three-step process again; Buy the books. Support the authors. Spread the word. It’s a books COMMUNITY because we feed off of talking to one another about stories, and that’s all you can do – because I promise you – other people are paying attention! 5 // How can teenage readers living in regional/rural areas encourage their local libraries and schools to bring more authors and bookish events to their town? First off – as I mentioned above – if your local library or school library doesn’t stock a book or author that you think they should, make a purchase request! That’s a really good start. Making them aware of the author/book, if they aren’t already. 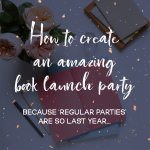 And then go one step further, and request that an invitation be extended to an author. I know! It could be scary and intimidating! But I promise you, librarians are superheroes and they want to know what you’re reading and loving, and *especially* if you want to get more involved in your library’s programming and have a say in it. Just tell them. The worst they can say is no, and while soul-crushing, I promise it’s not the end of the world and if you keep trying, one of your suggestions will land a mark! I’d also follow the author you hope will come visit on their various social media platforms – and while it’s not a good idea to ‘@’ and pester them 24/7, it could be useful to pay attention and see if they’ve offered things like Skype chats in the past, for library and school events. I promise you, most authors do not make a lot of money and traveling to events comes out of their pocket and cuts into their time (be it time creating, family-time, or time at their day-job) so it may not always be feasible for them to travel for one-off events, but authors (like librarians) are fairly awesome and technology has allowed us to find a myriad of ways to interact with readers. 6 // In some countries, libraries and bookshops are non-existent, making it hard to get access to books. Many people in these countries rely on receiving ARCs from publishers, which leads to blogging. How can people from these countries improve their chances of getting approved for an ARC? I have a very good friend – who blogged at her Persnickety Snark for a number of years … she was a high school teacher in rural Australia, and she started blogging *purely* to help fill her school’s library with books. She made it very clear to publishers that she was book-reviewing and blogging to receive books, which would then get shelved in her school’s library that had no funding. It worked. So if your school library is non-existent or severely underfunded, I’d first start by suggesting that you could communicate this lack to publishers – and make it clear that you want to change things (heck – even if it’s just to start a ‘Little Free Library’ or ‘Street Library’ in your neighborhood!) Create a social media page (Twitter, Facebook, Instagram!) for your cause, and mark your progress. And show appreciation for the publishers/authors/donators who help you along the way – tag them, @ them, thank them! 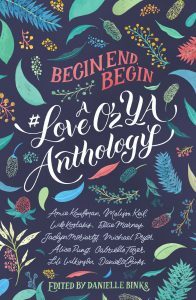 7 // Finally, you recently worked on and were published in the #LoveOzYA Anthology— can you tell us how the project has impacted the Australian YA book community and encouraged diversity in literature as a whole? 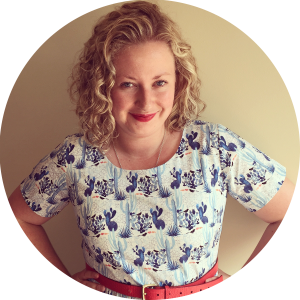 Danielle is a YA/MG author, book reviewer, book blogger and literary agent.